Ricky Van Shelton lyrics with chords are intended for your personal use only. 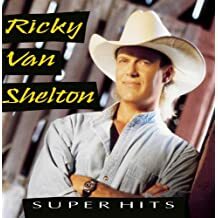 In my opinion, Ricky Van Shelton has the greatest voice in country music. He has a smooth mellow voice that brings any song to light. He began singing gospel music as a child and when a teenager discovered country music. He has gone on to record many great songs that is a treasure to enjoy.